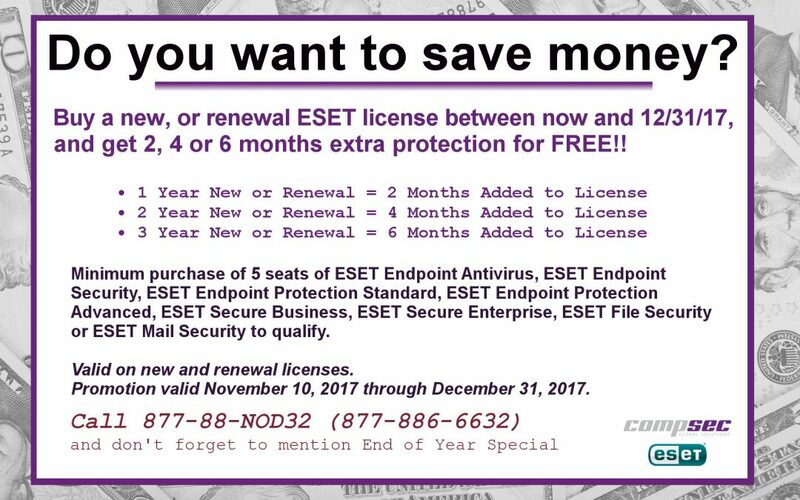 Save on ESET with the end of year Promotion: 2, 4 or 6 months free! Save on ESET with the end of year Promotion: 2, 4 or 6 months free! 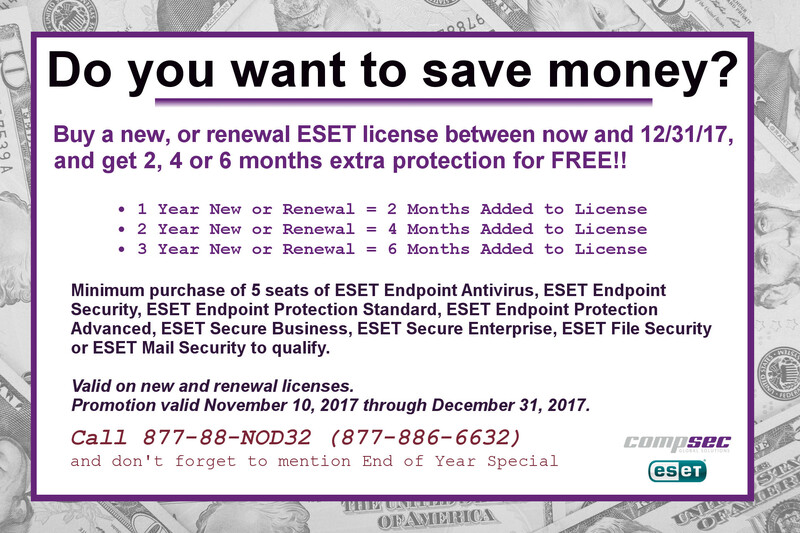 ESET is currently offering 2, 4 or 6 months free on 1, 2 and 3 year new or Renewal licenses. This is an incredible savings – the best deals are obviously on the 3-year new and renewal purchases, but if you can bring your purchase through between now and the end of the year, we can save you massive amounts of money! Call us Toll Free on 877-88-NOD32 (which is 877-886-6632) and don’t forget to mention ‘End of year Promotion’! 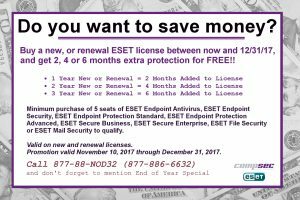 This is your end of year Promotion from ESET – get 2, 4 or 6 months free on both New and Renewal licenses.